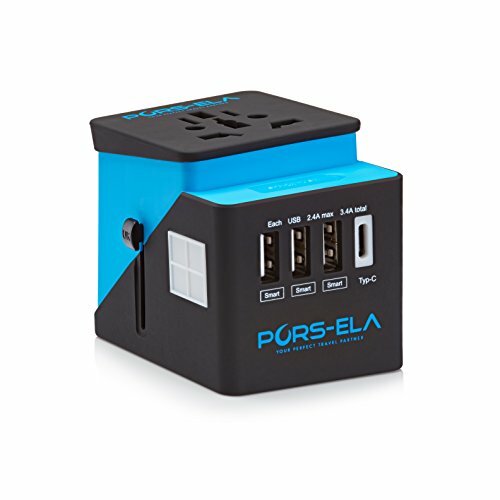 PORS-ELA's Universal Travel Adapter is your answer to those power woes abroad! With superior compatibility at your fingertips, no matter where you are you can charge your devices and stay connected anytime! From our plugs to our design, we are one of the very best adapters on the market today. Offering you a truly durable polycarbonate shell with a reliable "no fry" fuse system, you'll get only the very best from PORS-ELA. Best of all, your purchase is stress and risk free! We offer a full lifetime guarantee on every adapter that we sell. If it doesn't perform the way you need it to, you only have to let us know and we'll make it right. POWER UP TODAY NO MATTER WHERE YOU ARE AND CLICK THE "ADD TO CART" BUTTON NOW! !